On the first Saturday in May in 2006, crossing the finish line 8 1/2 lengths back from the ill-fated Barbaro, a grey runner ran across the wire of the 132nd Kentucky Derby Presented by Yum! Brands (G1) at Churchill Downs. In Pennsylvania, Gail Thayer was watching the race, not knowing that one day the horse she saw run third would one day be in her barn. Around three years later, the third-place finisher arrived at Thayer's barn. That horse was multiple graded stakes placed Steppenwolfer, who found his way to Thayer after a mutual friend, Sean Clancy, connected the dots between Thayer and Robert and Lawana Low, who wanted to see their former charge settle into a forever home. After an attempt at being a steeplechase runner didn't pan out for Steppenwolfer—something Thayer said he was good at but didn't love—she tried him as a fox hunter and he seemed to find his second calling. For Thayer, the reality of having a former Derby runner is still surreal. "I ride him regularly, and there's still that little bit of 'Can you believe it?'" Although his seriously competitive days on the track are behind him, Steppenwolfer—who earned more than $653,459 in 23 starts—still shows his athletic abilities in the fox hunting field. "He still has that competitive gene," Thayer said. "I have to hunt him with a friend, and as long as he hunts with someone he knows, he keeps his nose just ahead of them." 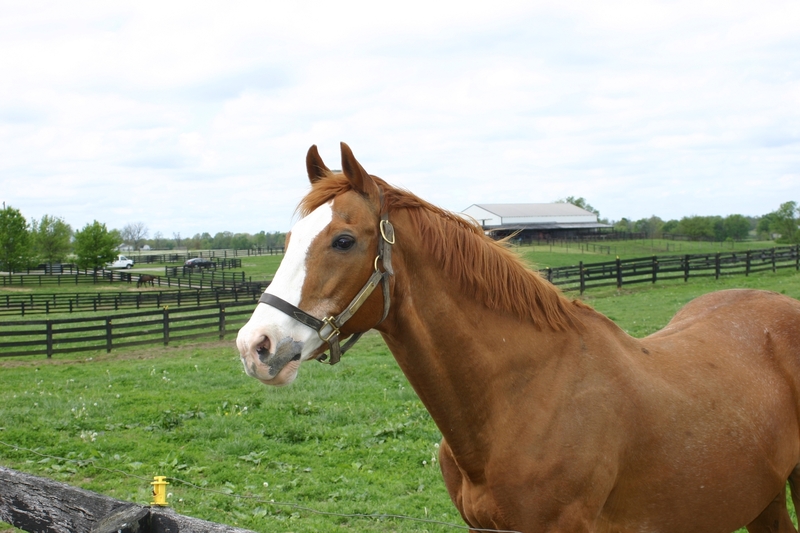 One year after Steppenwolfer's Derby, a chestnut colt named Sam P. finished ninth in the 2007 edition. Finishing his career on the track with 31 starts, a grade 1 placing, and almost $400,000 in earnings, he ended up at New Vocations Racehorse Adoption Program, where he caught the eye of Laura Vorwerk. "I saw him on the New Vocations website, and I had lost a mare a couple of months before to colic. 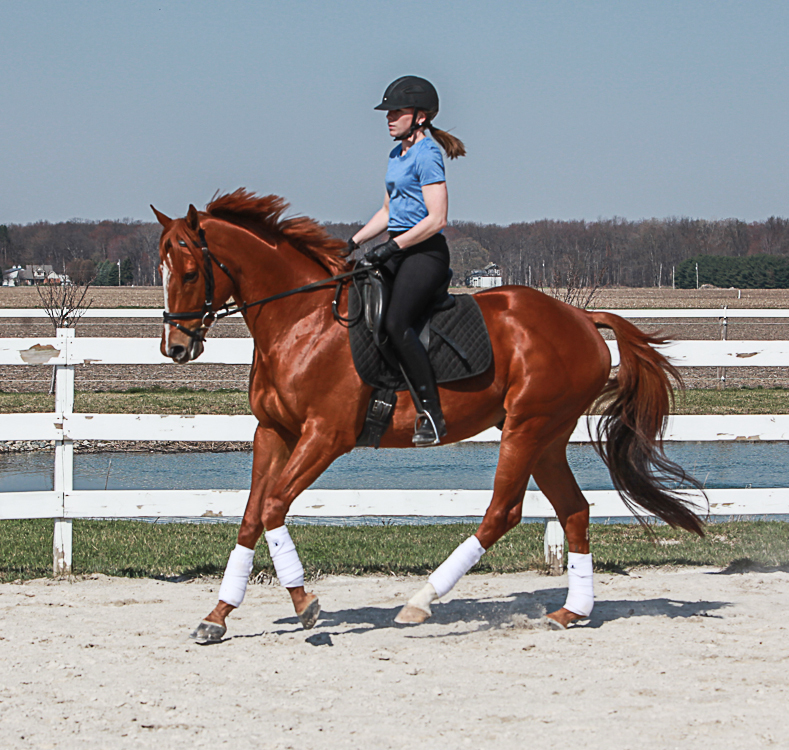 I wasn't actively looking for another horse, but when I saw him, he was just a knockout," said Vorwerk, who ended up adopting him from New Vocations in Kentucky. Vorwerk, who lives in Northwest Ohio and boards Sam P. at a nearby facility, is retraining the son of Cat Thief to be a dressage horse and hopes to take him to a recognized show this year. She said the 13-year-old's athletic ability seems limitless and that the retraining process, going from racehorse to sport horse, has gone smoothly. The duo also plans to compete in the New Vocations Charity Horse Show June 30-July 2 in Ohio. Vorwerk aboard Sam. P. Photo courtesty of Vorwerk/Margie Shoop Photography. "I don't know if it's because of his breeding, or if it was because he was such a high-level racehorse, but he has the best work ethic out of any horse that I've ever owned, and he's definitely the most athletic horse I've ever owned," Vorwerk said. Vorwerk feels fortunate to own such a talented mount. "It's kind of cool," she said. "You just never know what's going to happen in your life that will let you end up with something special." Ten years before Sam P. raced under the Twin Spires, Silver Charm prevailed by a head in the 1997 Derby and a chestnut named Phantom on Tour came in sixth. Silver Charm is living his life as an equine celebrity at Old Friends Equine near Georgetown, Ky., while Phantom on Tour is a few miles away at the Thoroughbred Retirement Foundation's facility at Blackburn Correctional Complex. Through the TRF, Phantom of Tour was once a mascot for the Kentucky Derby Museum. But since 2010, he's been retired from that job and is back with the TRF herd that plays a role in the Second Chances program, where inmates receive vocational training on equine and farm management. These days, the 23-year-old enjoys his time outside in the paddocks at Blackburn, where he will remain for the rest of his life. As up to 20 horses make a start in the Kentucky Derby each year, it's not realistic that all of those runners will go on to second careers at stud. 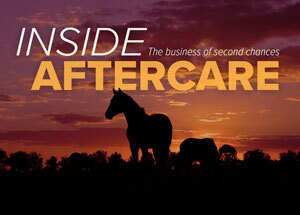 Some might go to the breeding shed, some may become competitive show mounts, a select few may be future equine celebrities and spokeshorses, and others will be perfectly content as pasture pets—showing the versatility and adaptability of the off-track Thoroughbred.